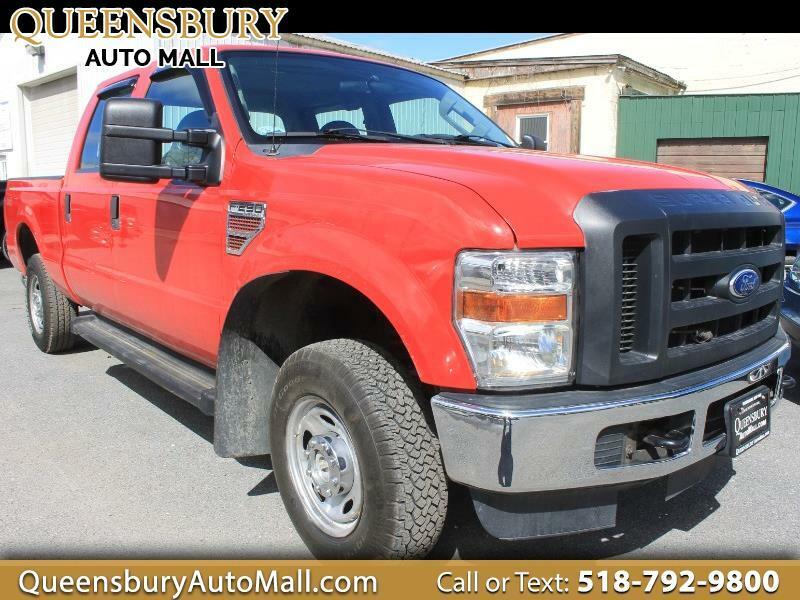 ***DIESEL, ULTRA RARE, VERY LOW MILED, CREW CAB DIESEL TRUCK - HERE'S AN EXTREMELY HARD TO FIND DIESEL TRUCK SPECIAL AT QUEENSBURY AUTO MALL - COME TO 635 GLEN STREET IN QUEENSBURY, NY 12804 TO GET YOURSELF INTO A LIKE-NEW, LONG TERM, HEAVY DUTY DIESEL CREW CAB FORD F-250 XL 4WD - TRADE YOUR OLD RIDE INTO THE AUTO MALL AND SAVE EVEN MORE $$$ ON THIS PRICED BELOW BOOK DIESEL TRUCK - DON'T MISS THIS RARE DIESEL TRUCK FOR THE RIGHT PRICE, LET THE AUTO MALL FAMILY UPGRADE YOU TODAY*** 6.4L V8 OHV 32V TURBO DIESEL MOTOR! FOUR WHEEL DRIVE WITH LOCKING TRANSFER CASE! 6 PASSENGER CREW CAB SEATING CAPACITY! TOW PACKAGE WITH TRAILER HITCH RECEIVER, OVER DRIVE HAUL MODE, ELECTRONIC TRAILER BRAKING, AND FRONT TOW HOOKS! FIXED RUNNING BOARDS! PROTECTIVE BED LINER AND CARGO BED LIGHTING! PROTECTIVE MUD FLAPS! AM/FM/CD PLAYER WITH AUXILIARY INPUT JACK! BUG GUARDED WINDOWS! POP OUT CUP HOLDERS! SIDE AIRBAG CURTAINS! STEEL WHEELS ON FRESH TIRES!